The XRW is a young company that was born in October 2005 in the industrial zone of Vila Verde, belongs to the municipality of Oliveira do Bairro and the district of Aveiro. Develop and design high quality products and design excellence, combined with the best machining technology of aluminum and PHD. We seek to broaden our horizons through innovation and optimization, responding to the reason for our existence, our Customers. We aspire to bring our Brand to Customers around the world, providing security and satisfaction by the use of our products. • Consolidate and optimize the Management System, based on the principles of ISO 9001, so as to achieve good performance in terms of customer satisfaction, of meeting the legal and regulatory requirements, and of sustainability and business improvement. The XRW controls all process of design and construction of your equipment. Adapting to each model is thoroughly studied with no margin for error. During the manufacturing process the aluminum undergoes various kinds of stress, especially in areas of bending and welding, which weaken the mechanical strength of the parts. For this reason, at the end of the production process, ALL XRW parts are subjected to heat treatment, commonly called hardening. (it is a high temperature treatment, which returns all the mechanical properties of the alloy, breaking stress, increasing the strength, durability and elasticity of the parts). This thermal stabilization and increase of aluminum resistance, is exactly the same that is used in Automotive and Aerospace Industries. 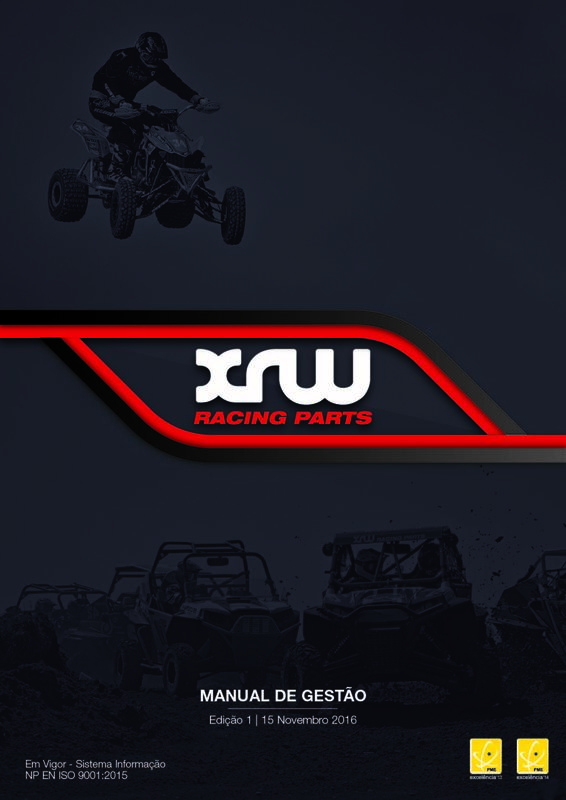 The XRW is proud to be the only European company to use this process in the manufacture of metal parts for ATV accessories / Quad and Off Road. Known as the Champions brand, XRW is the choice of the vast majority TOP pilots at European level.